too early to start pepper seed for the midwest? I"m 5b west of St Louis. I can't remember when I started my peppers last year. I had a rough calendar I used a a guide. But I have Feb 14 and March 15 written down for starting pepper seeds. Peppers take a while to germinatem, but then grow fast. I think the hotter varieties take a bit longer. Started my peppers too soon last year. This year I'll be starting them in the greenhouseend of March/beginning of April. So I checked my notes and I started the hot peppers 2/20 last year. They were up on 2/28. I only have a couple of pepper varieties to sow since I'm overwintering about 18 plants.... We'll see if they'll hit the ground running when I plant them out after it gets warm. Thanks I just freed up some starter cells by potting up some spinach, Brussels sprouts etc. I think I will wait till next weekend. I don't grow hot peppers, only bells, but I planted mine 3 weeks ago. They took almost two of those weeks to germinate, so are barely starting to get true leaves now. Plant already! I started mine early January. I have since up potted twice and have them on a weekly feeding of a diluted fertilizer. Once I know the snow is gone for sure they will hit the raised beds and sit in the hoop houses. Should be able to get them out mid to late March I am hoping. I have hot peppers, bells, and tomatoes ready to go. These could have been started to early, but once inside the hoop houses we should be good to go till the over nights are warm enough. 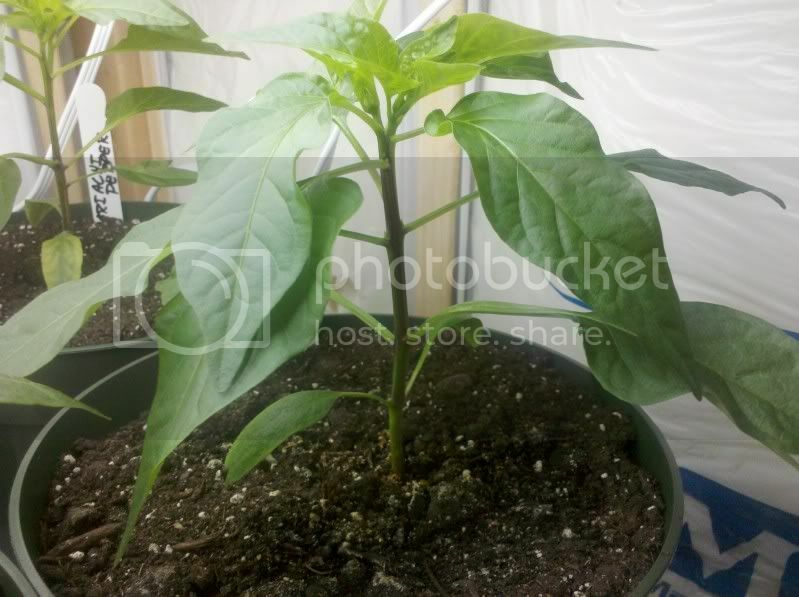 rainbowgardener wrote: I don't grow hot peppers, only bells, but I planted mine 3 weeks ago. They took almost two of those weeks to germinate, so are barely starting to get true leaves now. Plant already! Yes mam! I will thanks all again. 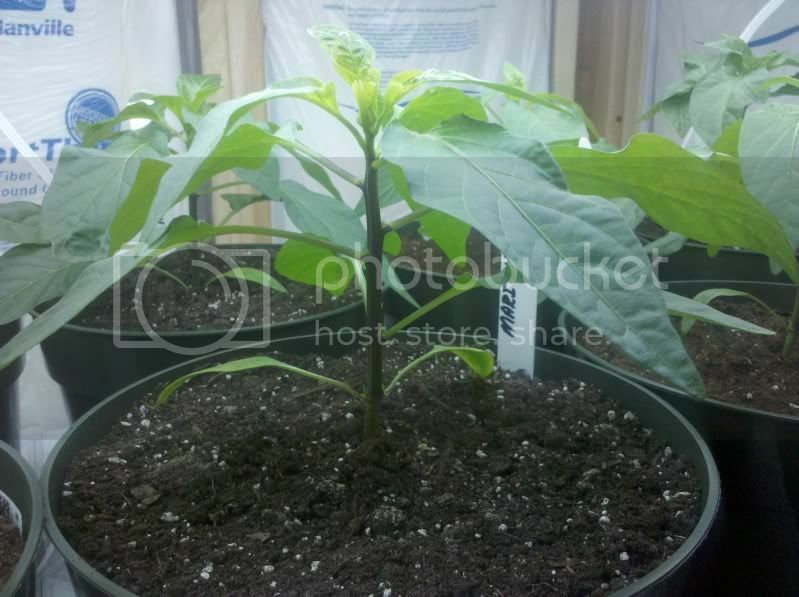 I planted bell peppers indoors on Feb 11. Everything else I planted at the same time has sprouted, but not the peppers. Should I expect to see sprouts soon, or should I start another pot? Faayth wrote: Butting in here. Peppers normally take a little while to get going. Do you have heat under them that helps a lot. What are the "other" things you started? I put a batch of the superhots under the papertowels a couple days ago. 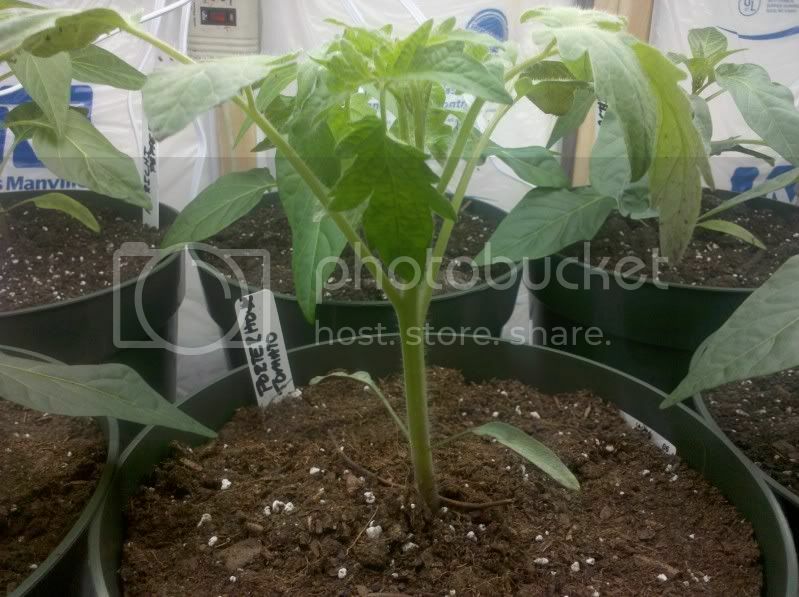 The rest (Bell's, Jalapeno, Super Jalapeno etc) in about a week or so. Seems I need more time for the super hots. Are pepper plants more cold tolerant than tomatoes? I had thought they were both in the heat loving family that dies off with a cold snap. But now I see that everyone, even my fellow jersians are starting in February! Are they more cold tolerant than I thought? Peppers need more warmth than tomatoes but they are slower to germinate and to grow. That's why you need to star them earlier -- by one to two weeks -- but will be hardening off and planting later by at least a week. The pepper seeds also want more warmth to germinate and need to be coddled more to grow -- bottom heat helps a lot. As someone said, super hots seem to need even more on top of that, though I think some of the wilder strains are a bit more vigorous. Conversely, at the opposite end of the extreme, some peppers can be sensitive to extreme heat and will shut down even before the tomatoes do. Again, hotter peppers seem to take the heat and drought better. 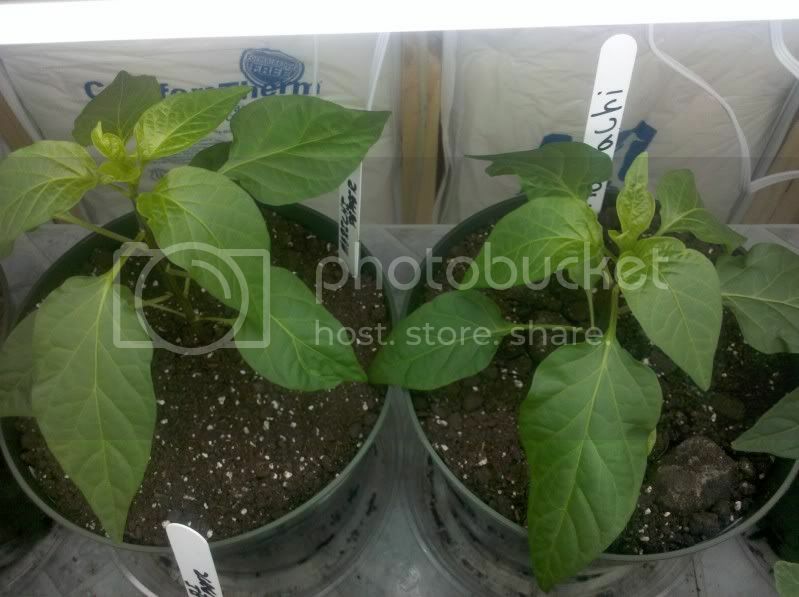 tk421storm wrote: Are pepper plants more cold tolerant than tomatoes? I had thought they were both in the heat loving family that dies off with a cold snap. But now I see that everyone, even my fellow jersians are starting in February! Are they more cold tolerant than I thought? Just to make sure everyone is on the same page here we are starting these indoors not outside. I'm new at all this, so thanks for all the great information. Last year I decided very late to try peppers from seeds and only managed to get four tiny little peppers from the two plants before I had to pull them in September. The two Jalepeno plants I bought at Home Depot did great, but I'm trying to grow everything from seeds this year. I started the hot peppers 10 days ago, and they have just started to sprout. I planted the sweet ones last night. From what I'm reading here, it looks like I might have better timing this year! How to get an early start? Early Blight - Try to fix, or start over? How Early Can You Start Seedlings Indoors?